"Poost’s warmth, heart, and good humor radiate... ...and he sings gorgeously to boot." "Lukas is articulate and open... ... earnest, boyish, thoughtful. You get the sense that he's still processing the course of his life with a sense of wonderment at how it's turning out." "Lukas Poost is the spitting image of a younger Steve Martin, not just in looks, but in mannerisms and attitude....[he] has a loud, boisterous personality, with the vocal talent to back it up. He is funny and physical and has excellent chemistry..."
"A dashing Lukas Poost sings the beautifully." Lukas Poost grew up in the small town of Wyalusing, Pennsylvania. Sparked by his star turn as Deputy Dan in his kindergarten production of Deputy Dan and the Scrambled Eggs Gang, he went through childhood with an ongoing and ever-growing romance with "living room show business." He and his five siblings put together countless plays, puppet shows, short films (written and improvised) and late night talk shows. 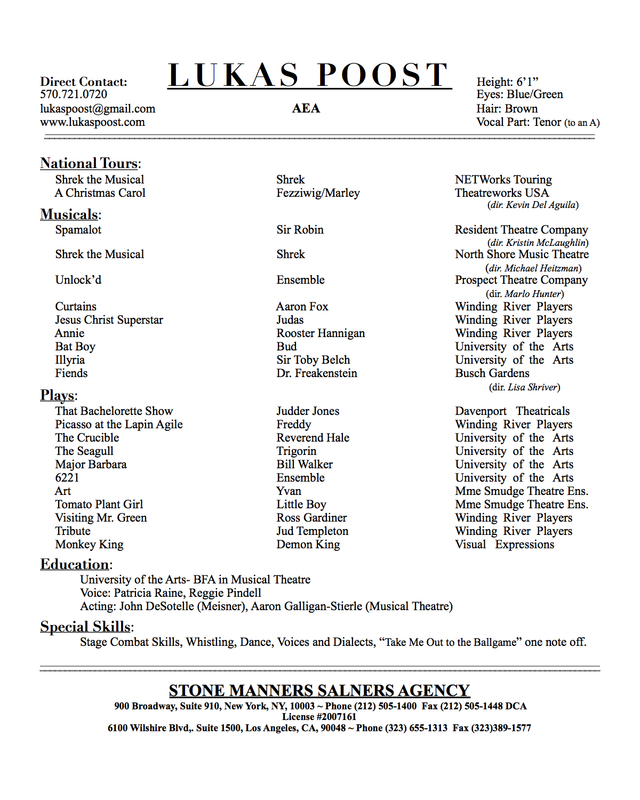 Lukas went on to study Acting and Musical Theatre at the Brind School at the University of the Arts in Philadephia. There he studied various acting and voice techniques including Meisner, Stanislavski, Williamson, Linklater, Skinner and more. Not long after graduation Lukas dove headfirst into the professional world starring in the National Tour of Broadway's Shrek the Musical as the big green ogre himself, Shrek. The following summer, Shrek and Lukas went "ogre-seas" playing sold out runs in Kuala Lumpur, Malaysia and Shanghai, China! 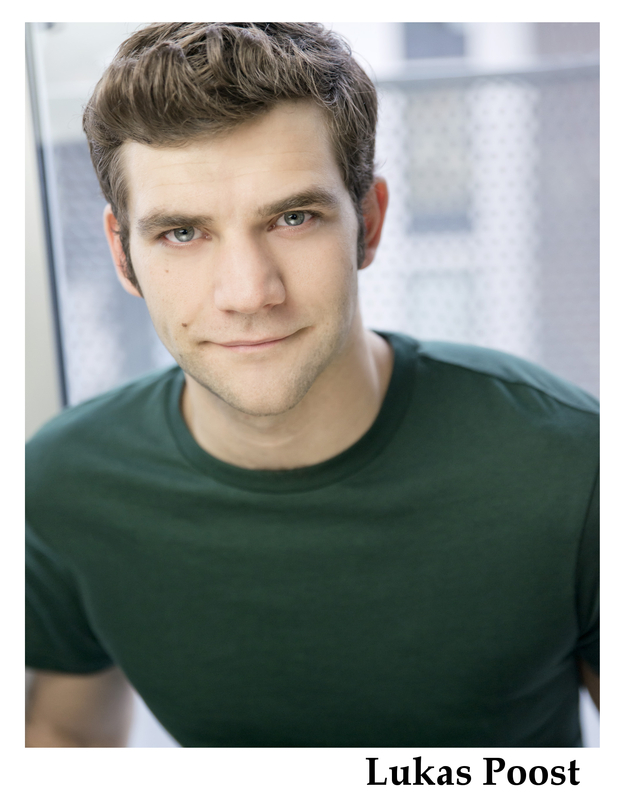 Since Shrek, Lukas has played in and around the US including a brief stint Off-Broadway in the original cast of Unlock'd, a new musical by Carner and Gregor. In addition to acting, Lukas enjoys the outdoors- hiking, camping, swimming, especially in the midcoast region of Maine. Lukas currently lives in New York City.